It is said that eventually everything comes back to you. At least it worked out for Andreas Lasnik. Aachen was the past and after recovering from his severe injury he wanted to look forward and face new challenges. It just so happened that an old friend from his time at Austria Vienna should lend him a helping hand. “Delano Hill called me and asked if I could imagine playing in the Netherlands", Andreas Lasnik remembers. Since he had studied the tricks of Ajax Amsterdam for hours when he was still a child, he didn`t need to think twice about his answer. So Lasnik played on trial for a few Dutch teams. His new club Willem II Tilburg was not among them. They had already seen enough of him when the scouted him in Germany. "It was a stroke of luck. I had almost missed an entire season because of my injury and hardly played in a year. So it was really special that a Dutch first division side wanted to have me without even a trial practice," the Styrian explains. And the club, that had played in the Champions League in 2001-02 and was former employer of well-known football players such as Jaap Stam, Sami Hyypia and Marc Overmars, showed from the start that they really believed in Lasnik. Something he had missed so painfully in Germany. From the very beginning, Lasnik`s standing with his coach and his teammates was very high. 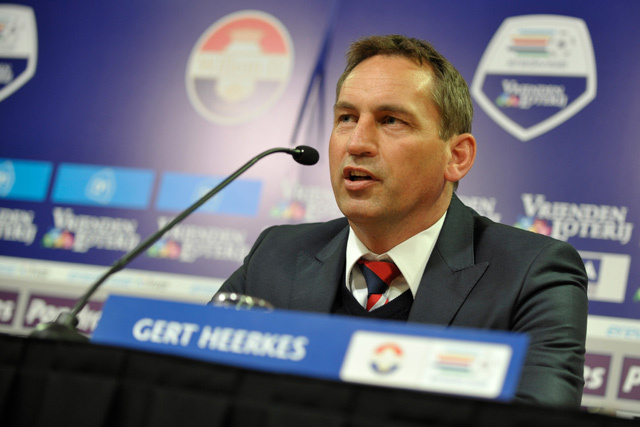 Truth be told, Gert Heerkes was already interested in the Austrian when he was manager of Heracles Almelo. So he was quite happy when he finally got the chance to work with the midfielder. His strategy for the upcoming season was simple: Lasnik should concentrate completely on his role as playmaker and set up striker Frank Demouge. What started out so promising, would not last for long, because on the last day of the transfer window Utrecht offered Demouge a contract he could not resist. The departure of his goalscorer was a slap in the face for Heerkes, because the striker had been the club`s life insurance in the past season. After the fat years in the European Cup Willem II was forced to cut costs and therefore promoted young talents rather than investing in new players. With the loss of their best striker they knew that the battle against relegation would be tougher than they expected. Still, Heerkes tried to get the best out of his young squad. Strictly following the Dutch football school. "In Austria or Germany, coaches often try to show off your weaknesses. They are not saying that you are technically gifted, that you have a great shooting technique or that you are dangerous in the set-pieces. Instead they tell you that your headers are weak or that you should improve your tackling. In Holland they concentrate on the strengths, because they know that there are enough other players on a team that outweigh each others` weaknesses," says Andreas Lasnik. After spending so many years with football, Lasnik knows very well about his own strengths and weaknesses. "It's not a secret that I am not the best when it comes to defense. But here I play on a position where I can fully focus on the offensive. This way I can make a difference and that is fully accepted by the team, the club and the fans. And I'll try to pay the club back for its belief in my skills as good as possible." Lasnik has arrived in the “Eredivisie” very quickly. Although the results of Willem II Tilburg were poor from the beginning, his record is outstanding. He proved himself as the stereotype of a classical playmaker, the crowd is on his side and he is responsible for every offensive set-piece. What followed were a number of goals and assists. "I am slowly approaching the form that I had in my strongest time in Austria, but there is certainly still room for improvement." Nevertheless, his coach scattered him roses anyway. "If Andreas continues to pursue his path as consistently, he has the stuff to one of the best attacking midfielders in the Dutch league ," Gert Heerkes is convinced. Due to the poor results the manager was replaced in April 2011 by his assistant John Feskens. For Lasnik it didn`t make any difference, he just continued showing outstanding performances. Sometimes things are meant to be together. The Dutch “Eredivisie” and Andreas Lasnik seem to be such a combination. "Everything here is about football and the stadiums are always full. The fans support the team, no matter whether you succeed or not. Of course, they are sometimes dissatisfied and whistle, but they come anyway." And there is another aspect that plays an important role for his possible decision to stay in the Netherlands much longer. "You are simply accepted as a footballer."